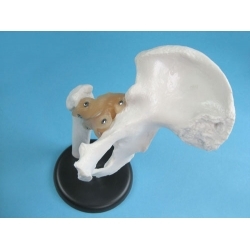 Model of a human hip bone. 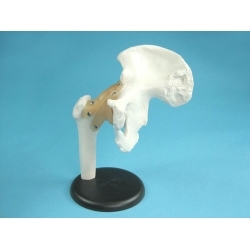 Description: Demonstrates anteversion, retroversion, abduction and internal / external rotation. 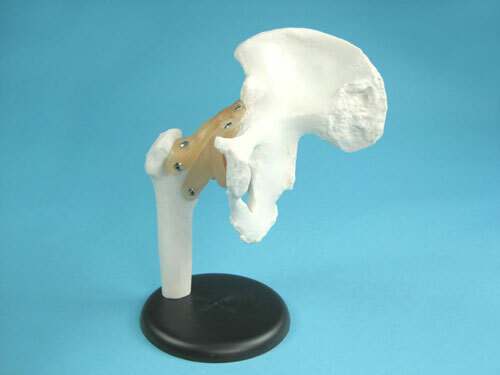 Including flexible, artificial ligaments. 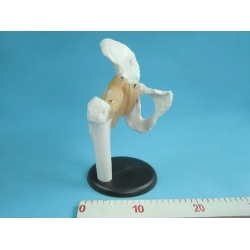 Life-size, on stand. Size: 25x19x30CM.